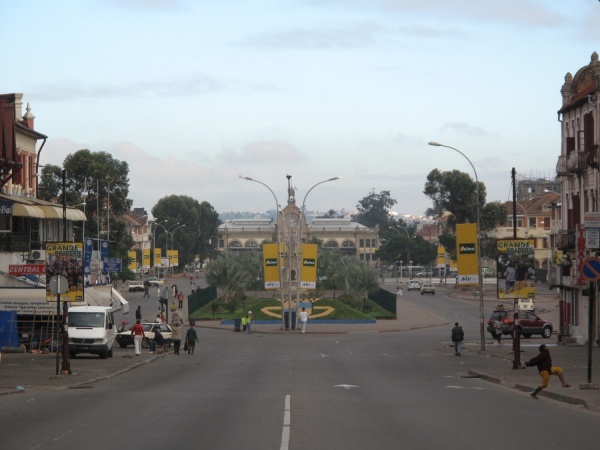 Independence Avenue, Avenue of Independence or Avenue de l’Indépendance, is an approximately 1-kilometre double lane in the centre of Antananarivo stretching between the central fruit, vegetable and meat market and the Soarano Train Station - the capital's central train station. Independence Avenue is a main shopping street with several hotels, restaurants and offices, including Air Madagascar's main reservations office. This page was last modified on 5 September 2016, at 22:01.